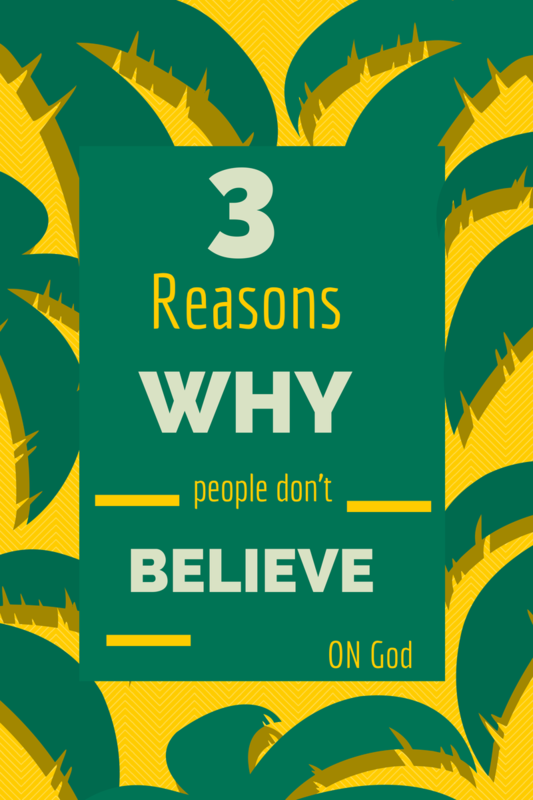 Why don't Some People believe on God? People in this category have religious background. They believed on God very much in the past. But when they suffered a lot in life or God did not listen their pray, they gave up their dedication. This type of people go back to their previous situation and start worshipping God again after a certain time. These people believe God but they don't want to say that they do. New learners fall under this category. They are highly impressed by Science and they are also half learnt. They quickly follow if someone presents strong argument against the existence of God. These people consider themselves to be highly educated. These people don't know when they gave up believing God. Maybe their parents did not believe God. Otherwise someone else who is always with him had no faith on God. Or they are influenced by their teachers who don't follow any religion. It is very hard to let these people believe any God. They may enter temples or go to churches. However they have not real faith towards God. God exists or not is still a hot topic. After all, everyone in the world should have faith on their God. At least this belief stops them from doing any unwanted, illegal and immoral activities in the society. Our research concludes that most of the criminals have either no faith on God or they think that their activities are not against their God. So if we can spread any religion and teach the right teachings of religions that will contribute to make this world peaceful and secured. So believing on God is smart regardless of the fact God exists or not. Why Can't Krishna Marry Anyone Other Than Radha? Why is Goddess Radha called Radharani? Why Can't Radha Marry Anyone Other Than Krishna?